Check out our brand new range of Spider Structures Trussing! 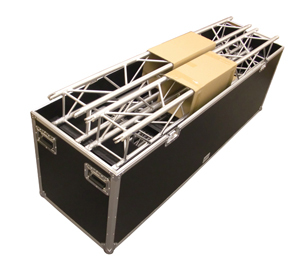 Flightcase Warehouse is pleased to announce our brand new range of Spider Structures Trussing Solutions We have used our expertise to design and construct our own range of Trussing components, ranging from a complete package to individual components. This allows you to create a trussing solution that perfectly matches your requirements without breaking the bank. So, why should you use Spider Trussing? 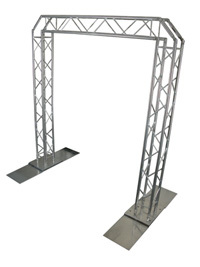 This gives the application complete flexibility so that you can customise the size, height and what accessories are needed for the truss depending on its use. For example, you might need two completely different layouts for a DJ platform compared to a Trade show stand – Spider Structuring allows for this flexibility and is easy to change. View our complete range of Trussing options we have to offer.